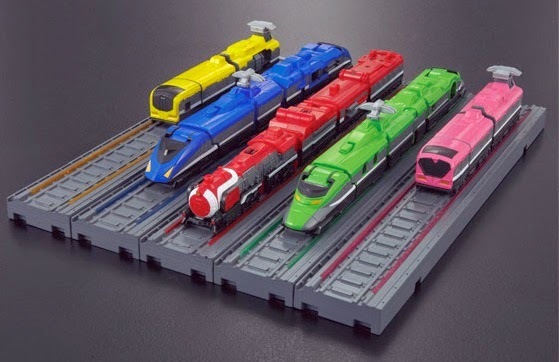 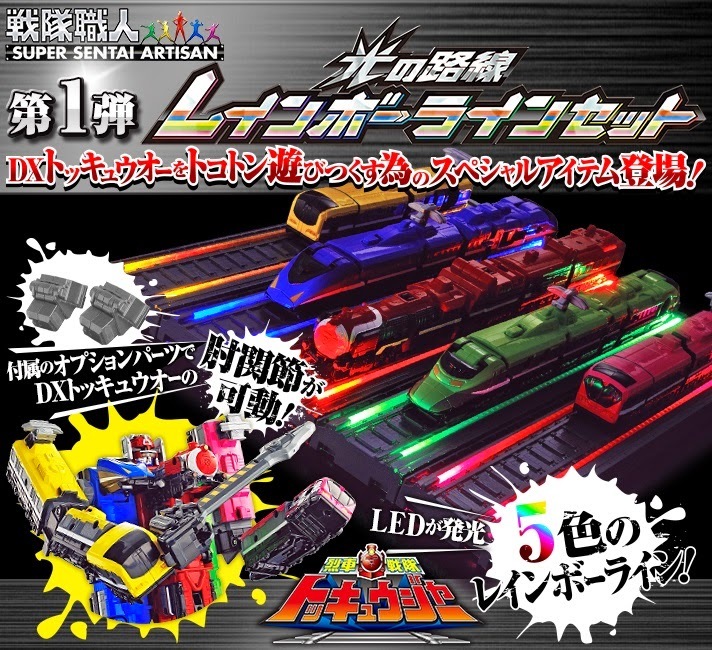 Premium Bandai Shop's website has just announced that the company will be releasing the Sentai Shokunin (Super Sentai Artisan) Ressha Sentai ToQGer Rainbow Line Route Set. 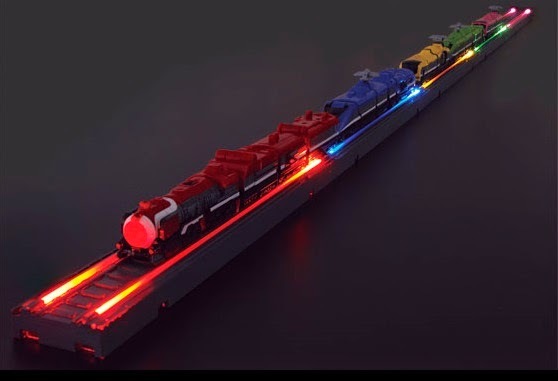 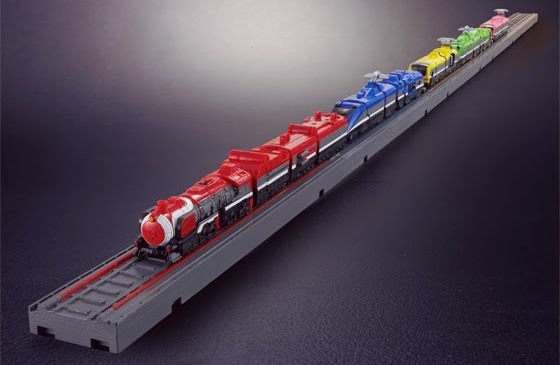 The set represents that lighted rainbow train tracks as seen in the super sentai series. 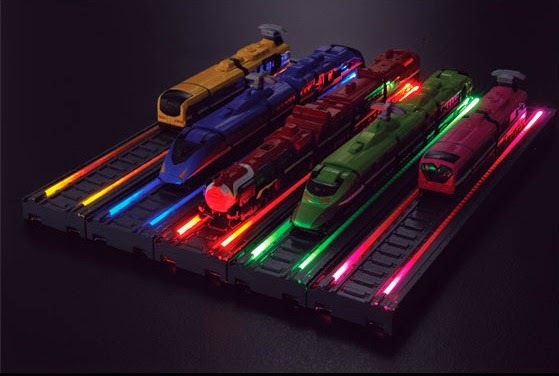 These LED platforms will fit perfectly on your DX ToQ OH set. 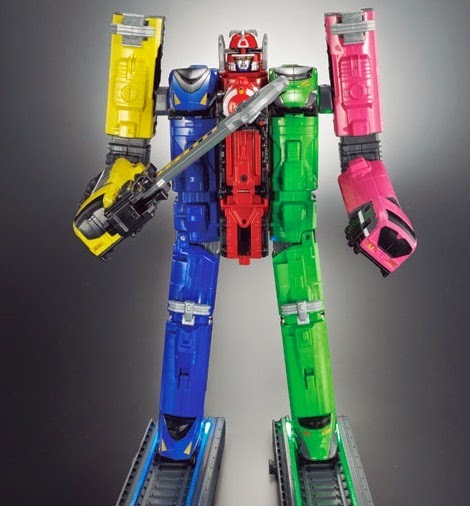 Special elbow joints are included in order for the DX ToQ OH to have more range in arm movement. 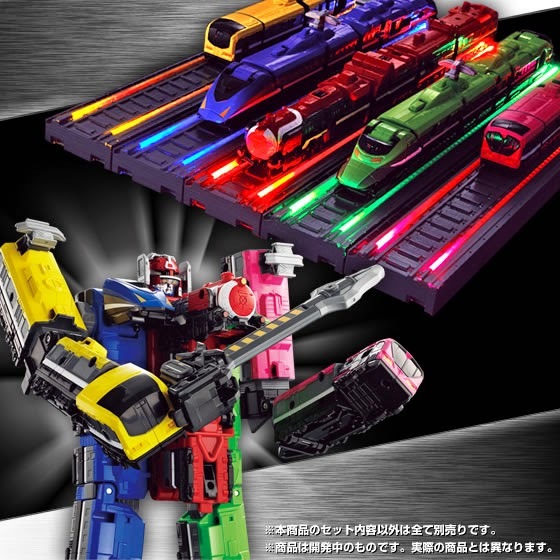 The set will be released in October, 2014 and will retail at 5,184 yen.